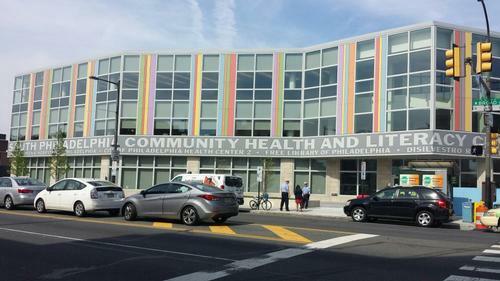 The South Philadelphia Library has added a new collection: the Health Lending Library. 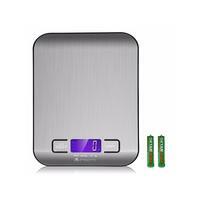 The first items in this new collection are electronic blood pressure monitors and food scales. These items will now be available for checkout in addition to the robust health collection on our shelves at South Philly Library. Check out our list to see some of what’s on offer, from books on health conditions to exercise DVDs to cookbooks, all offered in a variety of languages. Did your doctor tell you to watch your blood pressure? We welcome anyone to stop in to borrow an electronic blood pressure monitor. These are easy to use in the comfort of your own home, lightweight and portable, and can store your readings to discuss with your healthcare provider. With the Philadelphia Department of Public Health’s Health Center 2 and the Children’s Hospital of Philadelphia (CHOP) South Philadelphia Primary Care located directly upstairs, we aim to serve patients using the library before or after their healthcare appointment, but these items are available for all patrons. Are you counting calories or watching your portion sizes? Using a food scale is a great way to teach yourself the right serving size for different foods. For example, a child between 4-8 years old should be eating 5 ounce equivalents of grains; a woman age 31-50 should be eating 6 ounce equivalents; and a man age 19-30 should be eating 8 ounce equivalents. Use the food scale to measure 1 ounce of dry rice before cooking to be sure you’re on track with portion size! MyPlate is a good resource for learning more about portion size, and using a food scale will help keep you on track. Join us on the first Wednesday of every month at 4:00 p.m., beginning in September, for a free group lesson from a registered dietitian and leave with one of our food scales to repeat what you learned at home! Do you have suggestions about other health-related materials you’d like to be able to check out from the South Philadelphia Library? Please let us know!